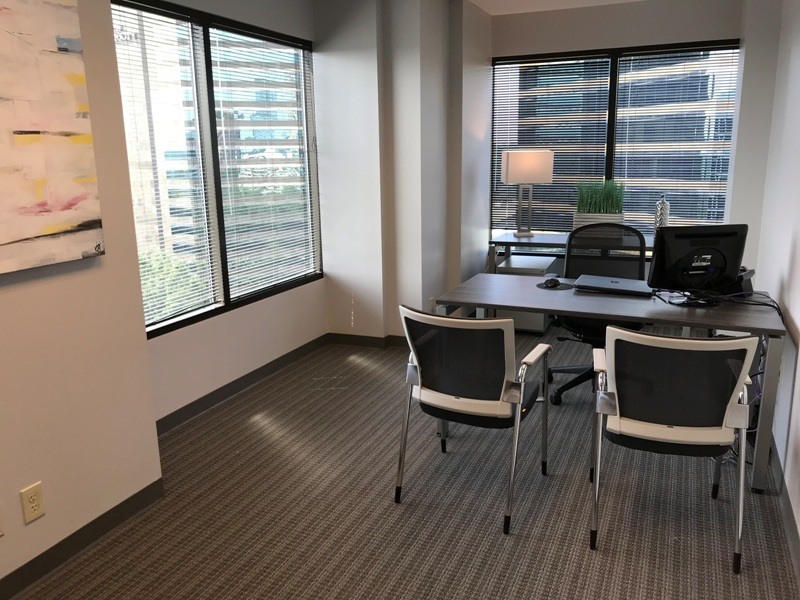 This 2 person window office is located in beautiful Buckhead. This amazing work space includes 2 hour free parking for your guests, furniture, high speed internet, common reception/waiting area for your guests, common breakroom with refrigerator/sink/microwave, free coffee/tea/water, mail service and courier package receipt/shipping, *access to conference rooms, *acess to VOIP phone and *live phone answering, *access to other business center services including printer/scanner/fax are available. 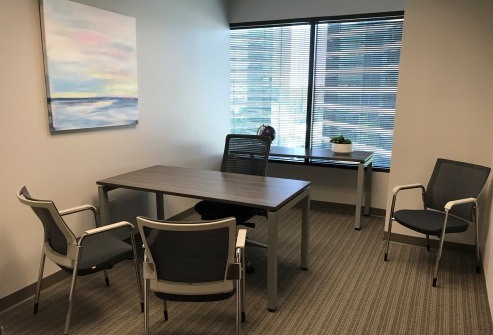 To learn more about these offices, contact us or book a tour!